Gratitude 69 | More Joy, Magic, and Vibrant Living! I am grateful for trying something new. 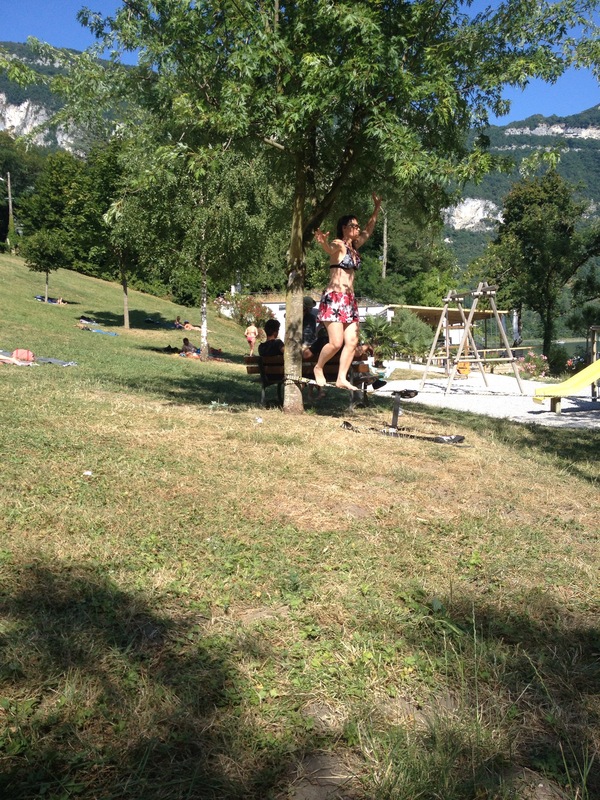 At the lake, there was a couple of young men playing with a slack line. I had seen people playing with that in Whistler and kind of wondered. Based on the previous pedal boat and swimming adventure, I thought to myself “if I do it, I’ll be happy I’ve done it” so I asked the guys if I could try. It was awesome! I did not manage to do much, just stand on the line long enough for a picture but it was a great feeling! I am glad I did it.